I have a great spring makeup look for you. 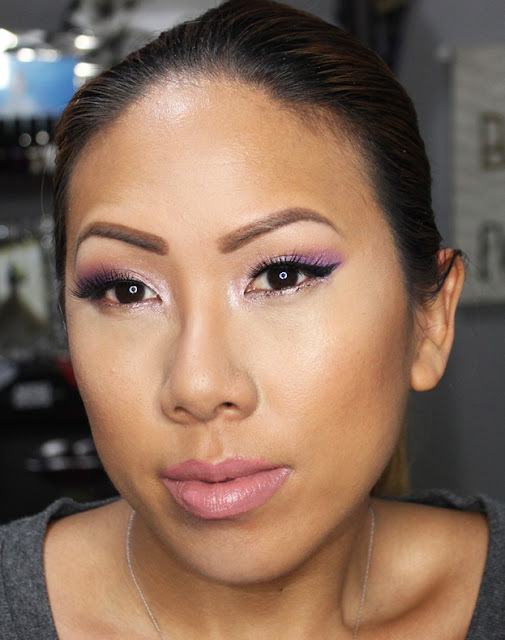 Pinks and purple always make a great makeup pairing. In this video I show you how the Milk Makeup pigments actually look on the eye. 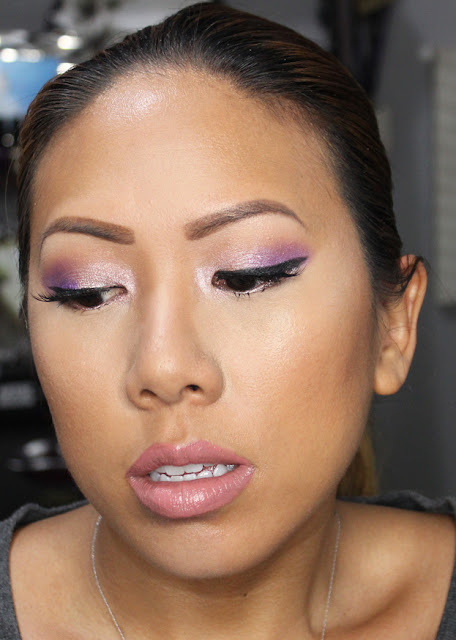 On my eyes I used Milk Makeup Eye Pigment in Rave (Purple) and After Park (Pink). I applied it on the back of my hand first and then used a synthetic eyeshadow brush to apply the color to my lids and a synthetic crease brush to help blend. I prefer synthetic brushes for cream products because they don't absorb as much makeup. I love the shine from these eye pigments. On the bottom lid I did something a little different and applied the pigment to my waterline. I love how it makes my eyes sparkle but beware, I got the pigment all over my contacts lol. It's the worst, lol, you literally can't see! My fellow contact wearers, has this ever happened to you? Lastly, I paired the eyes with a L'Oreal Infallible Paints pretty pink lip paint. Hope you all enjoyed! Till next time, Ciao Bellas!